What can we really know for sure about the past? Can anything be trusted as reliable historical fact? In particular, are the historical sources for the life, death and resurrection of Jesus trustworthy? Did a man called Jesus really live in 1st century Palestine, or is he a figure of legend or a made-up story? 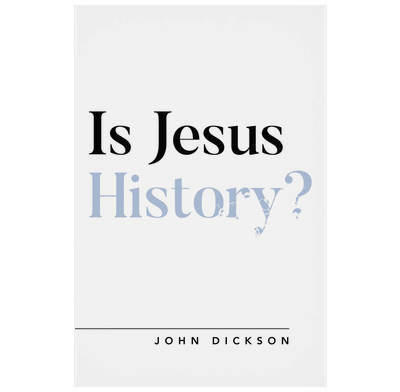 In this timely book, historian John Dickson unpacks how History works so that we have the tools to evaluate what we can confidently say about figures like Emperor Tiberius, Pontius Pilate, High Priest Caiaphas, and, of course, Jesus of Nazareth. He presents the evidence and the conclusions of the vast majority of scholars—both Christian and not—in this area. But more than that, he asks some more pertinent questions: If Jesus really did exist, was he who he claimed to be and if so, what does that mean for you today?